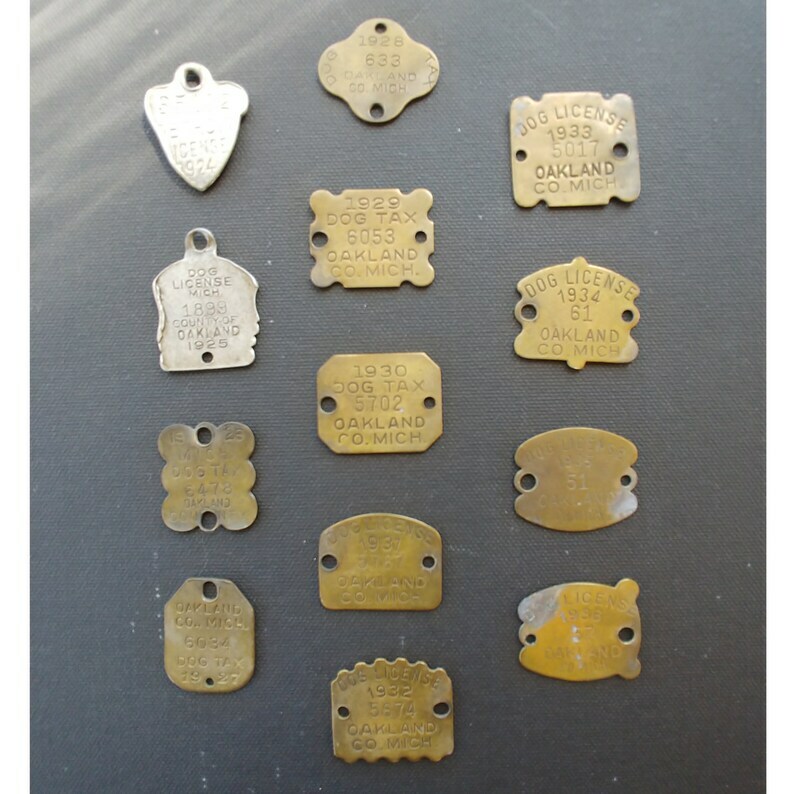 This set of vintage dog tags was issued by Oakland County, Michigan, between 1924 and 1936 (all years included). The oldest two tags, 1924 and 1925, are made from aluminum and show the most wear. The remaining 9 tags are brass. Each year has a different shape. All tags have two holes except for the 1924 tag which has only one hole. These tags have a nicely aged patina and are still readable. Each is imprinted with “Dog License” or “Dog Tax,” the year issued, a license number, and Oakland.